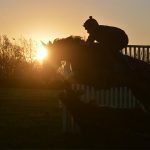 A Triumph for National Hunt Perseverance! So many times has COPPERFACEJACK looked like winning a race, only for some dastardly opponent to swoop by him on the run-in. He had finished second seven times out of his previous nine races, a record that reflected more embarrassment upon the trainer than the horse. Despite this dodgy record, I have felt unable to blame horse or jockey at any stage as every time both appeared to be giving it their best shot. However as all Cricket captains know, when your bowlers are plodding away but just not able to find that spark to take a wicket, you have to try a change of bowler just to eke out something different. In this case we changed the jockey and without any disrespect to his previous riders, Richard Johnson the man who would have been Champion eighteen times by now if it wasn’t for that other fellow, was ‘handed the ball.’ After all you don’t see Jimmy Anderson being neglected for long when wickets cannot be taken! Richard was the first to say that he and ‘JACK’ did not exactly sing from the same hymn-sheet for the first mile but being the champion he is, they worked it out together. It may have been a little race but it was one enormous thrill for his owners, The Barnett Family and ourselves. Nobody could be more loyal to a frustrating horse than Rob, Kay and Jane so let’s hope that “JACK” has now discovered that illusive knack to winning. He has been raised 8lbs for his win and Taunton on 1st November looks to be his next assignment. We took advantage of the local presence of The Bicester with Whaddon Chase hounds meeting nearby last Thursday. VERY LIVE is not the easiest of horses to get fit as he is a rather ’round and barrel-like’ horse. Beth Sparrowhawk has already taken him out three times with The Farmers Bloodhounds led by Brian Temple and he has proven to be an absolute gentleman to hounds. This is a great way of seriously exercising horses without them having the stresses of galloping. 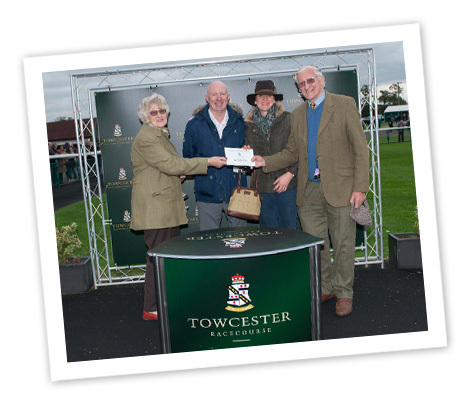 LORD MARMADUKE, who had worked well at Towcester racecourse the previous week was also allowed an outing. Considering this horse can question things on occasions, he behaved immaculately and loved his three hours with the hounds. What was also great to observe was his rider Lee Quirk’s smile, which was far broader than even the horse’s! 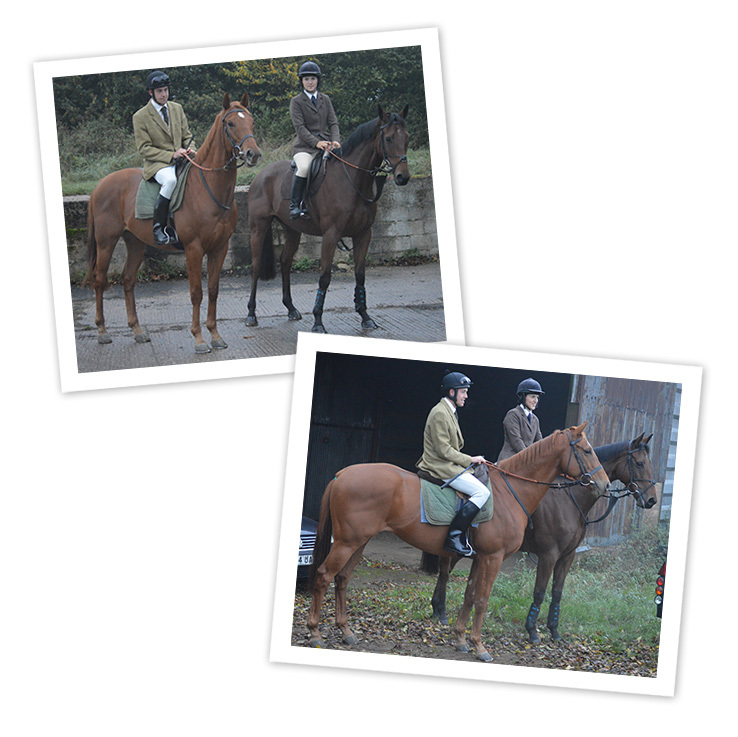 It was a maiden hunting voyage for both of them and hopefully the first of many happy days. LORD MARMADUKE then schooled really well for Gavin Sheehan two days later and should make his debut over hurdles at the end of the second week in November. Our attack on Kempton last Sunday did not go according to plan. Do not think me disrespectful, but the day seemed to resemble the awesome film ‘Dunkirk’ we watched two months ago. Each War Horse we sent out got battered back by the enemy. ROYAL DEBUTANTE was running on well up the beach, but hit the second last rampart too hard and had a heavy fall, lying too still for too long. Thankfully unlike many before her she was only winded and has returned home to bravely fight another day (22nd Nov Warwick). NEW AGENDA had a difficult task in that he was carrying a pack that was seven pounds heavier than it should have been and that slowed him down in the last hundred yards. However he got over the tangled barbed wire only six lengths behind the winner and is now battled-hardened for an assault on bigger obstacles in a novice handicap chase (9th Nov. Ludlow or 14th Nov. Huntingdon). CIRCUIT COURT was a debutante and an unknown soldier having come from the Irish point-to-point field of operations and I’m afraid despite passing the doctor on Friday as being ready for action, was found after this skirmish to be under the weather with some mucus down his wind-pipe. We have further investigations to do before sending him back to the front. With no runners last Saturday and visiting owners away after third lot, I took the opportunity to whizz to Ascot to look at some very special horses. It is a real pleasure being able to study the horses in the pre-parade paddock, making your own judgements and swapping opinions with friends and colleagues. I was supporting Coronet, whose grand-dam Last Second I bought as a yearling and who is a foundation mare at Denford Stud. She ran very well to finish third on her least favoured soft ground behind the beautiful Hydrangea, who being a typical Galileo has the ultimate will to win and coped with the conditions. Add in Order of St. George, Persuasive and then Cracksman, what a collection of jewels we admired. 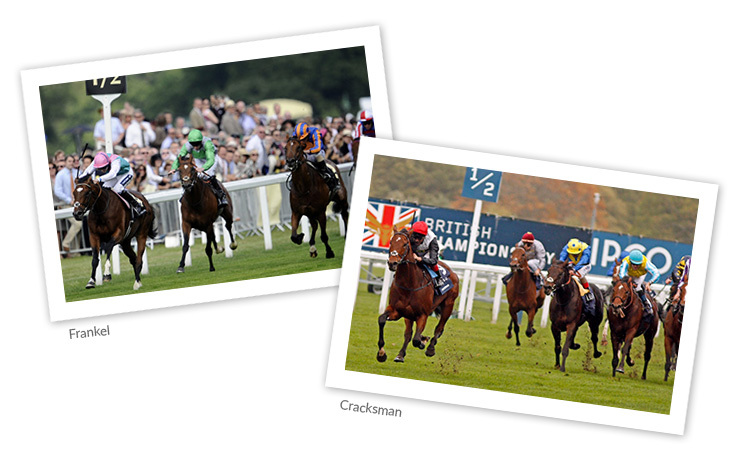 To watch Cracksman quicken with that raking stride despite the ground instantly brought back the mirror-image of his father Frankel doing the same thing five years ago, yet it seems like last year! Our Head Man, Trevor Heath has been making great progress with the ‘breaking- in’ process of our yearlings. The POUR MOI colt and PLANTEUR filly that we bought in Spain have been joined by a MUKHADRAM colt from Book 3 at Tattersalls. Two weeks ago a young Hungarian couple turned up at the yard looking for ‘The Trainer’. I admit to thinking that they might be au-pairs looking for a job! Honor and Francesca had bought this yearling at Tattersalls the previous day and while paying for it at the accounts desk asked about transport to Banbury where they live. 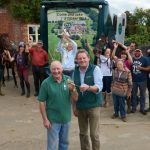 They were directed upstairs to Lambourn Racehorse Transport where they asked the boss Merrick Francis for transport and a trainer near Banbury. Amazingly in the back of Merrick’s catalogue holder was one of our brochures from 2003 and he was able to show them my photo and say, “Your trainer near Banbury!” So we are lucky to have a fine, scopey colt and some new owners. I used to buy yearlings with Merrick when he was a very successful trainer and have always used L.R.T. since, so it proves that sometimes things all come around. We are thrilled with our Spanish purchases who are both behaving well and making good progress. The POUR MOI is going to be syndicated into four 25% shares at the cost of £7,000 + VAT with no bills until 1st January 2018. He is a lovely moving horse (see video above) with an excellent attitude. His sire produced this year’s Epsom Derby winner, Wings of Eagles and he comes from a good staying family, indeed his dam is a half-sister to Rule of Law who won The St. Leger. This colt is qualified for the ACPSIE sales race back in Madrid over 7f. next September worth 45,000 euros, a very realistic target. He will then develop into a lovely three-year-old and a dual-purpose horse. Please have a good think (and do more!) about this project. The Tattersalls Newmarket Horses in Training sale catalogue is an absolute monster this year and I’ve started making my list of horses to be inspected. We have bought horses of the calibre of Alkaased (Japan Cup) and Collier Bay (Champion Hurdle) in the past at this sale and much more recently New Agenda and Devon Drum, so I’ll be sorting them through next Monday paying special attention to the Juddmonte draft that has been so good to us on many occasions. TINDARO is our next runner at Newbury on Saturday where he runs in the Ladies Jockeys Handicap garnished with his owners’ daughter Sophie Smith who is having her first ride under rules having ridden 32 pony racing winners. A big day and the start of I’m sure a big career for the jockey who looks so natural. RED COSSACK enters the Last Chance Saloon at Kempton next Thursday where he runs over his favoured track and distance of a mile. He has been working well and appears a tad more straight-forward but he needs to show plenty or he might be starring at loads of coloured poles or a dressage arena very soon! 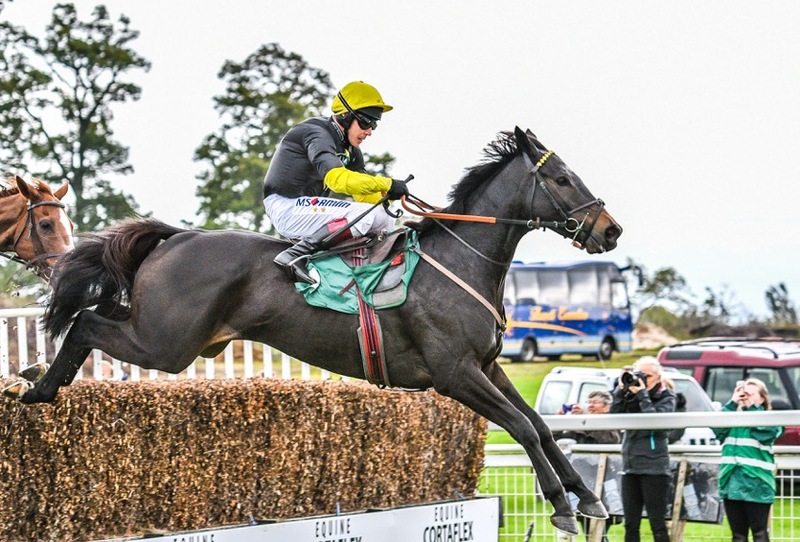 COSMIC DIAMOND will hopefully go to Chepstow next Tuesday and she looks in really good form, likewise COPPERFACEJACK who will be entered in a 3 ¼m. Novice Handicap Chase at Taunton next Thursday to see if he can follow up his ‘land-mark’ Towcester success!